A 30-strong team of volunteer cyclists rode into a rain-swept Nottingham after a gruelling 300km, two-day ride in aid of the Childhood Eye Cancer Trust. 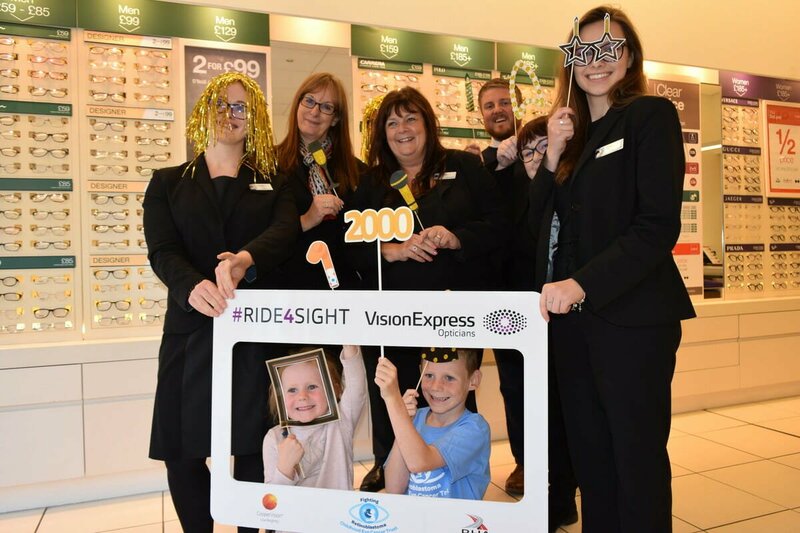 Vision Express’ Ride4Sight, celebrated the optician’s 30 years of trading by focusing on all things ‘30’, incorporating a 300km route climbing altitudes of up to 3,000m, in a bid to raise £30,000. With the riders now across the finish line, they’ve successfully raised £27,000 in personal donations so far and are on course to reach the 30k target. 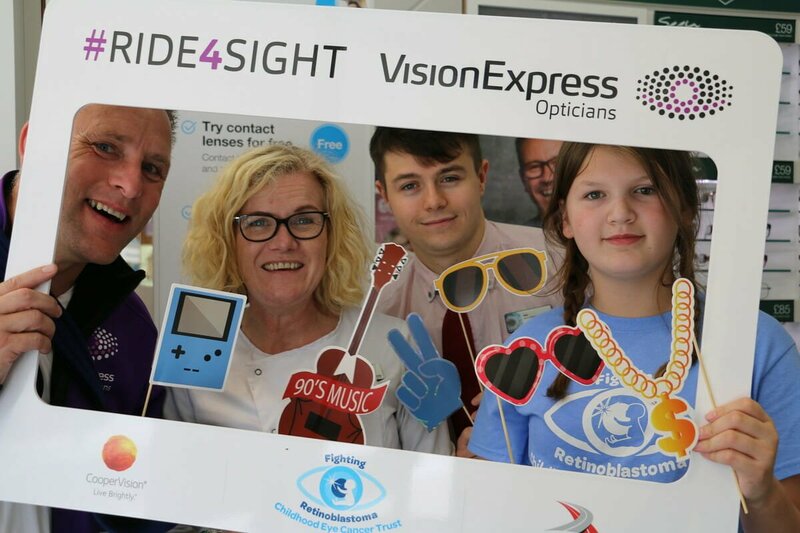 It puts Vision Express’ fundraising total for CHECT from the past five years at half a million pounds. 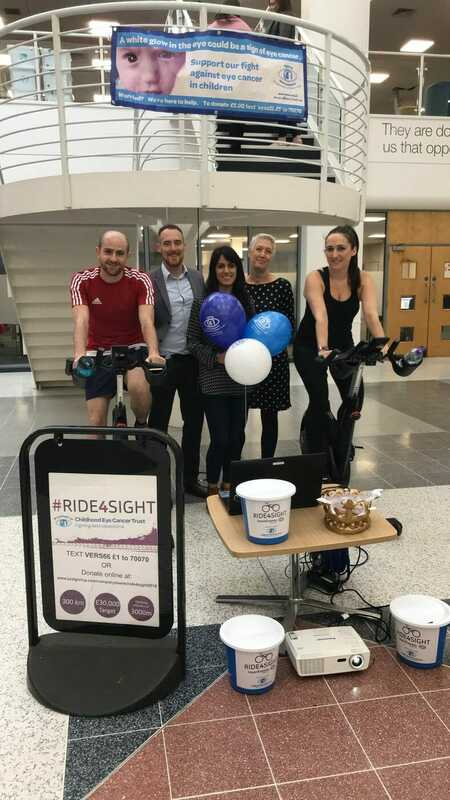 CHECT chairman and general manager of PepsiCo UK Ian Ellington, who also took on the cycling challenge said: “Because we’re such a tiny charity, the support from the Ride4Sight is a lifeline. 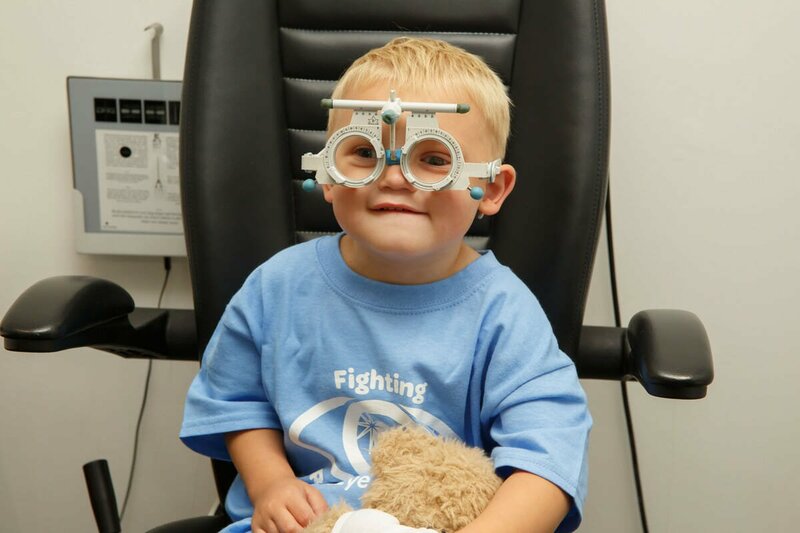 My son Tom was diagnosed with retinoblastoma 10 years ago and as a parent, hearing your child has cancer is possibly the worst thing you can imagine. It was an incredibly difficult and disorientating experience. Even now, years later, I find it hard to talk about. 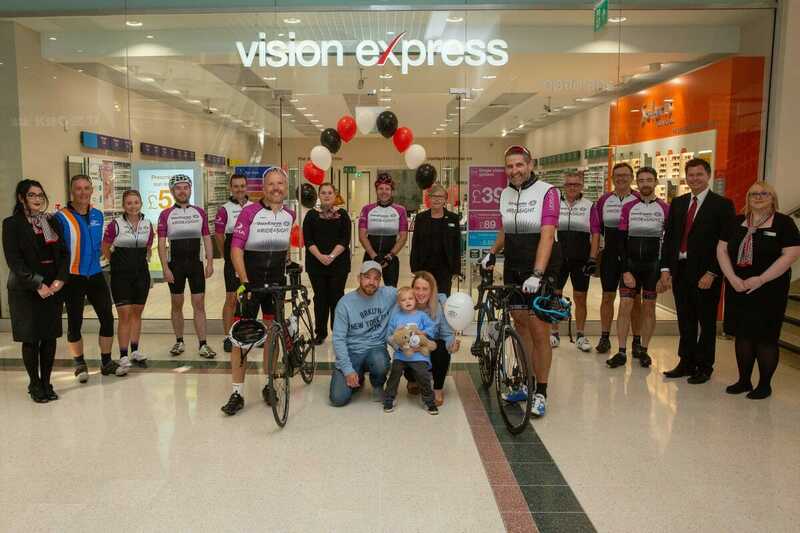 The star-studded team of riders, including Paralympian Darren Harris and Olympian Bryan Steel, who rode a tandem bike donated by Rutland Cycles, toured through Nottingham with a pit stop at the Vision Express at Tesco Toton store. 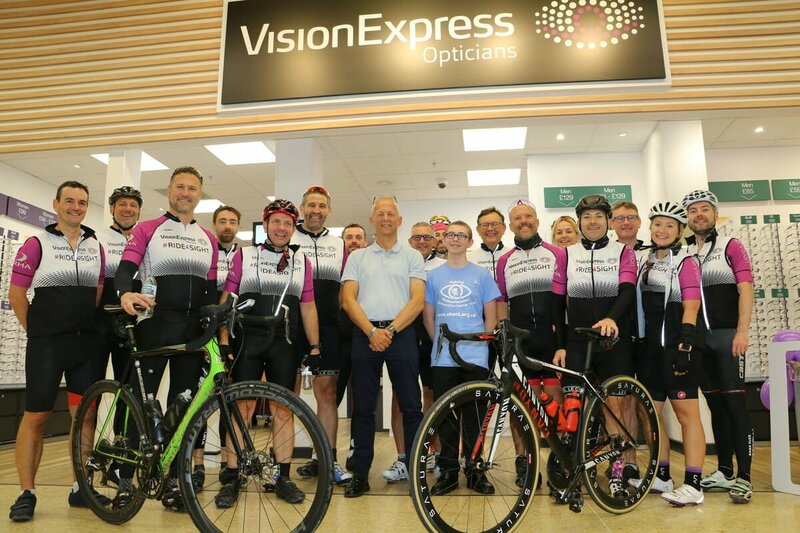 The cyclists visited other Vision Express stores including Hanley, Crewe, Macclesfield, and Matlock, before crossing the finish line at Vision Express’ Store Support Centre in Ruddington. They were met along the way by young CHECT ambassadors. While the heroic team tackled the Peak District, their colleagues in the offices were certainly with them in spirit, taking part in a static bike challenge. Each static bike at HQ clocked up the same distance as the outdoor cyclists – with a bake sale to fuel participants. Thank you to all at HQ for making our Fundraising Manager, Diane Emery, so welcome. There’s still time to sponsor the cyclists on their JustGiving page.